MSC CARTWHEEL: Small disc-shape head excellent for rhythmic clarity. MSF FLANNEL: Made from compressed layers of flannel to produce a distinctly spongy sound. 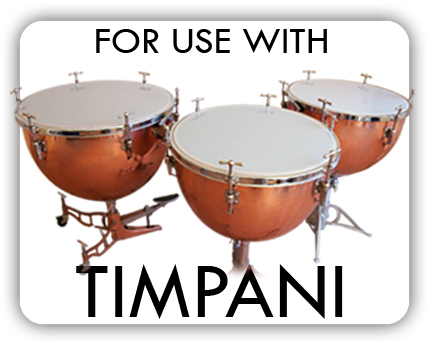 MS31 SNARE/TIMPANI: Double effect stick, ideal for snare, cymbal, tom-toms, timpani etc. Avoids rapid stick changes. Supplied with medium solid felt head for durability. Other combinations upon request.